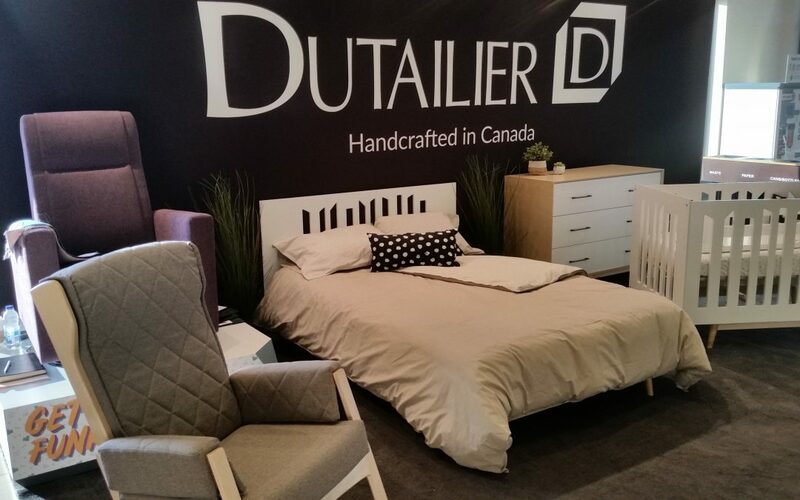 Did you miss Dutailier‘s live broadcast for the Lollipop collection launch? Never fear! 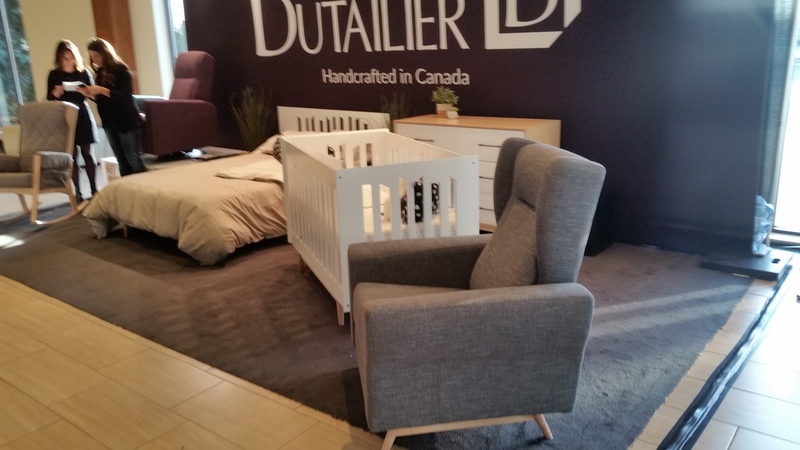 The Sleepy Hollow Childrens Furniture team is in Toronto for the Future for Baby show. This afternoon, we had a chance to see the Lollipop crib in person. A 4-in-1 convertible crib, this model moves from crib to toddler bed to single bed to double bed. The conversion kit to twin bed is included; an additional kit to convert to a double bed is for sale separately. In addition to the Lollipop crib, we tested out some of the new chairs. 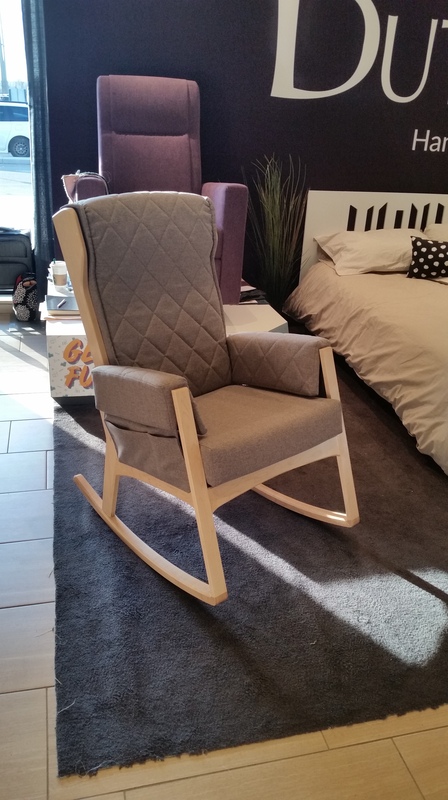 If you look closely, you’ll see the glider boasts legs that match the crib and dresser. 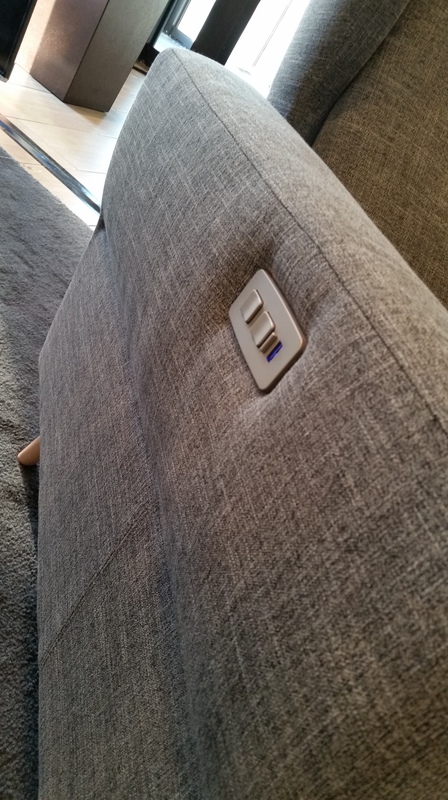 We are also happy to report the popular motorized chair now has a USB charging port!